We give the first proof of security for an identity-based encryption scheme in the quantum random oracle model. This is the first proof of security for any scheme in this model that requires no additional assumptions. Our techniques are quite general and we use them to obtain security proofs for two random oracle hierarchical identity-based encryption schemes and a random oracle signature scheme, all of which have previously resisted quantum security proofs, even using additional assumptions. We also explain how to remove the extra assumptions from prior quantum random oracle model proofs. We accomplish these results by developing new tools for arguing that quantum algorithms cannot distinguish between two oracle distributions. 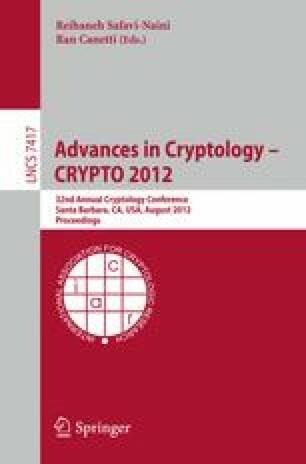 Using a particular class of oracle distributions, so called semi-constant distributions, we argue that the aforementioned cryptosystems are secure against quantum adversaries.